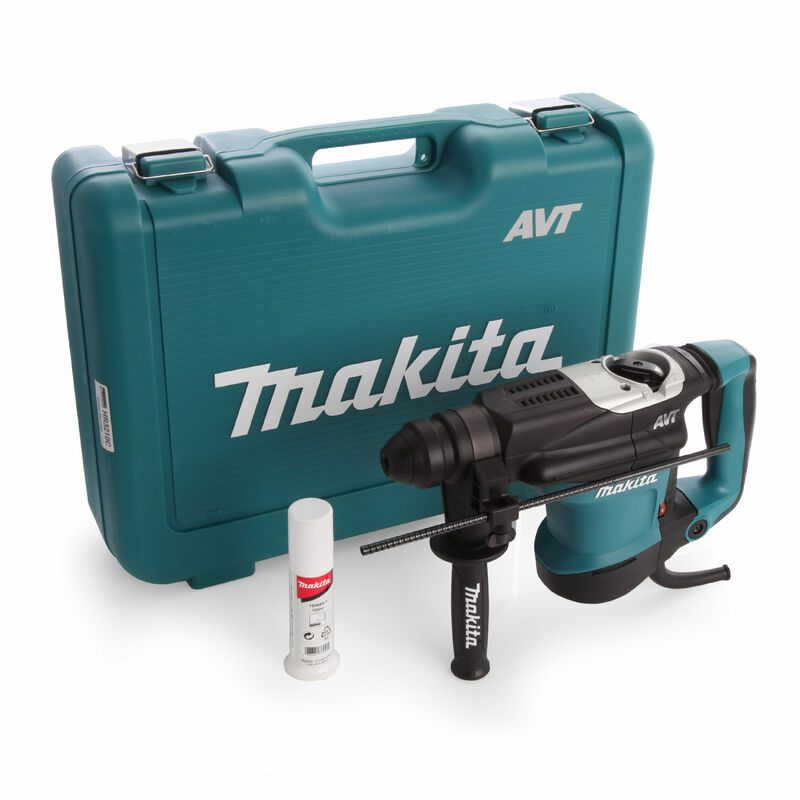 Makita's AVT (Anti-Vibration Technology) works from the vibration the drill creates. A built in balancer moves in the oposite direction from the piston providing the hammer action, thus cancelling out the majority of vibration being transferred back through the machine. A spring loaded shock absorbing grip cushions the operator further. 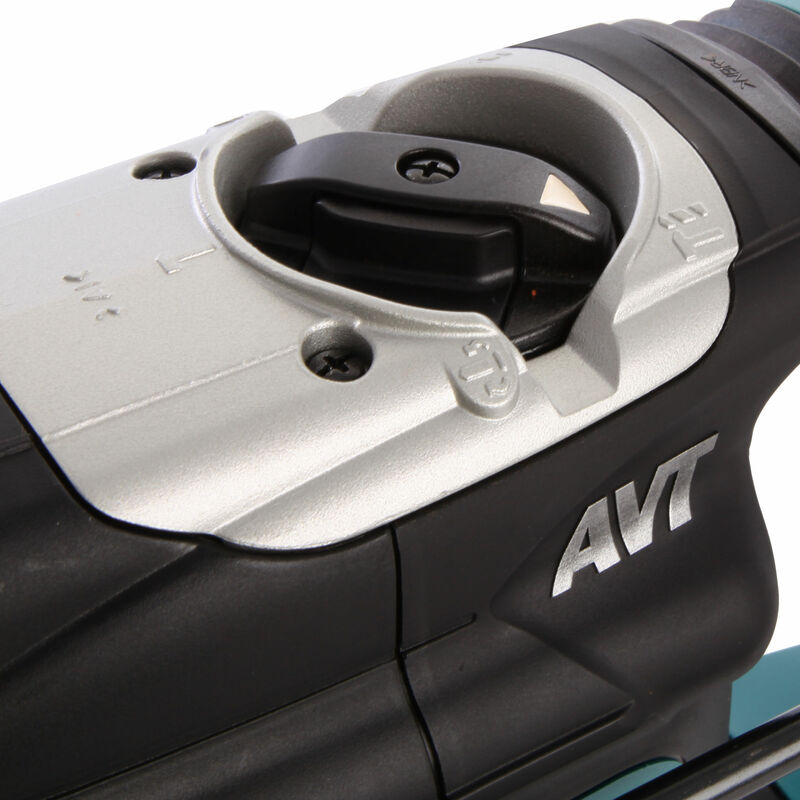 The HR3210C has a variable speed control and is fitted with a torque limiter device that instantly disengages the drive should the drill bit or core snag during operation. This action protects both the operator from physical injury and the machine from mechanical and electrical overload.